If 2013 taught me anything, it taught me that I am in charge of making my life the life I want it to be. I cannot control everything that happens to me. I certainly cannot control the decisions or actions of others. But I CAN control my reaction to those things. I can take the reigns of my life and turn them in the direction I want to go. I can grasp the opportunities that come my way and hold fast to them. I can show my love for my family and friends through my words and actions. 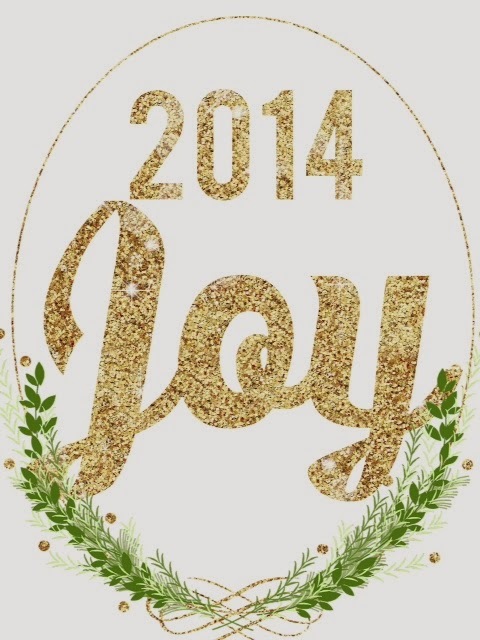 And so for the year of 2014, I have chosen to focus on the word JOY. If I have the ability to control my reactions...I have the ability to control my emotions as well. And so for the year of 2014, I choose to focus on JOY. I choose to find the JOY in the little things as well as the big. I choose to be JOYFUL that I have so many blessings. Even in the darkness, there is light. And having JOY will show me that light...and amplify it. My wise Mother always says "attitude is altitude". I believe that choosing to have an attitude of JOY will elevate me and those around me. I believe that it will help us to rise above the troubles that inevitably come our way and to see the blessings in our trials. Do you have a word of the year? Care to share? Leave me a comment...I'd love to hear. …but with joy, wend your way. All is well. All is well. Perfect. May the new year bring you tons of joy!! My word this year is Intentional. I want to be intentional about how I spend my time, money, resources, talents, thoughts, etc so that I at don't look back at 2014 and wonder what I did. Instead I'll know what my year was about because I was intentional about what I did and said. Grateful, thankful, blessed. I created a set of wall decorations with this mantra for Thanksgiving and I hope to meditate on them all year long.